Last week in North Dakota a baby became trapped in a stolen vehicle because a man was desperately trying to get away from the police. Governor Doug Burgum needs to observe this is an emergency; intervene, and request the United States Department of Justice direct uncompromised FBI agents to investigate. The now regular occurrence of police shootings and unsolved murders in North Dakota is the result of international drug trafficking operations that involve every level of law enforcement including sheriff’s departments, United States Border Patrol, and the Grand Forks Air Force Base. 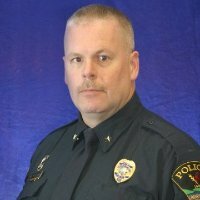 Law enforcement officers such as deputies, state troopers, local police, and campus police, are being used to kill off and/or arrest and/or murder by overdose, lower level drug traffickers because the cat is out of the bag. The North Dakota BCI is part of the criminal operation and is used to conduct fake post shooting investigations; shootings that are always deemed justified by the respective county’s states attorney’s office. Every low/mid level drug trafficker and/or blackmailed/extorted person that looks in his mirror and sees red police lights is going to flee because he knows he is going to be killed or sent to prison for a long time. For proof of the before-mentioned simply peruse Write Into Action. North Dakota law enforcement and States Attorney’s Offices have told so many lies and engaged in so much deception and obstruction its getting hard for me to keep up. I can longer explain the full gamut of activities of this syndicate in single articles. And I’ll do it in spades. Write Into Action has created an exhibit regarding the activities of Grand Forks Sheriff’s deputies as they pertain to the BCI investigation into the shooting of David James Elliott by a University of North Dakota police officer in 2015. Two Grand Forks Sheriff’s deputies were questioned by the BCI regarding their involvement in the pursuit and shooting of David James Elliott. Those two deputies are Sgt. Andy Schneider and Nathan Moen. Schneider and Moen lied to the BCI about their movement and locations on the night in question. Moen told the BCI he ate lunch with Schneider at the Grand Forks Air Force Base at 11:55 p.m. on February 27, 2015. Schneider told the BCI they ate at the GFAB at 11:00 p.m. Okay -so they are not even close on that one. 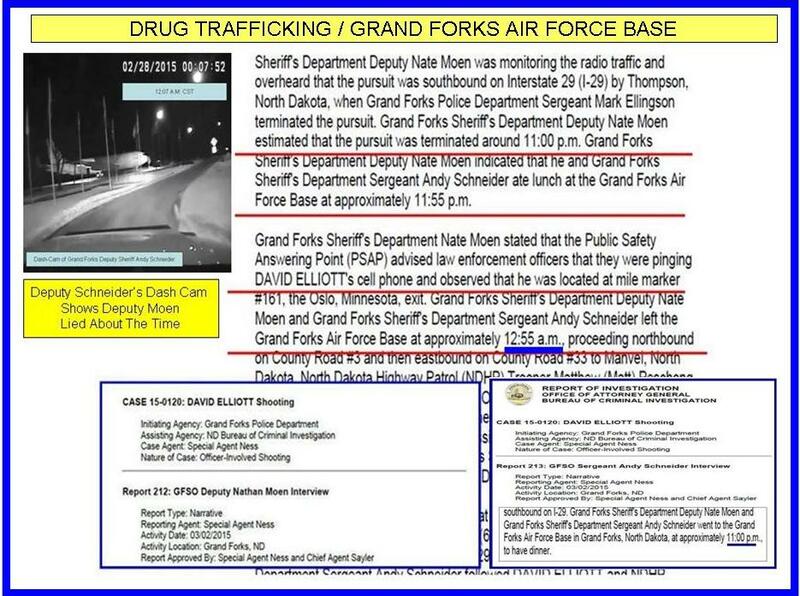 Schneider is totally lying because he is seen on Grand Forks Police Department Officer Dan Harvala’s dash-cam at 11:09 p.m. standing on the side of I-29 near Thompson, ND as the first pursuit of David Elliott was terminated. The BCI investigative report from the NATE MOEN interview says “GRAND FORKS SHERIFF’S DEPUTY NATE MOEN AND GRAND FORKS SHERIFF SERGEANT ANDY SCHNEIDER LEFT THE GRAND FORKS AIR FORCE BASE AT APPROXIMATELY 12:55 A.M.
David James Elliott was shot at 12:47 a.m. in the City of Grand Forks in front of the Emergency Room at Altru Hospital – so Moen’s claim is impossible on its face – because both Moen and Schneider were involved in the pursuit and present at the shooting. 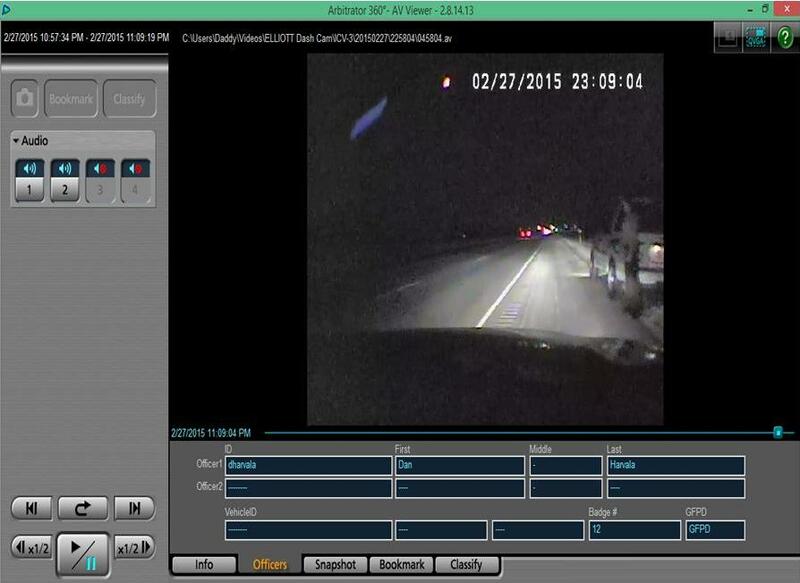 The time-stamp on the dash-cam of Deputy Andy Schneider shows him (Schneider) leaving the GFAB at 12:07 a.m.!!! Look again at what Moen told the BCI. Look again at the dash-cam time stamp. The next baby trapped in a stolen vehicle by someone trying to get away from these monsters might not live happily ever after. The next death is on DOUG BURGUM. 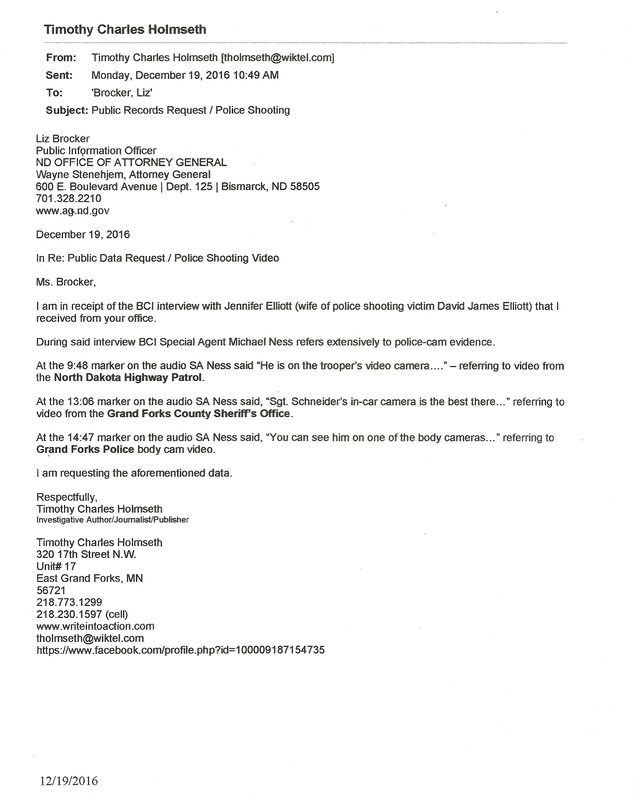 Write Into Action has submitted a public records request for the police camera evidence regarding the shooting of David James Elliott. I am in receipt of the BCI interview with Jennifer Elliott (wife of police shooting victim David James Elliott) that I received from your office. During said interview BCI Special Agent Michael Ness refers extensively to police-cam evidence. At the 9:48 marker on the audio SA Ness said “He is on the trooper’s video camera….” – referring to video from the North Dakota Highway Patrol. At the 13:06 marker on the audio SA Ness said, “Sgt. 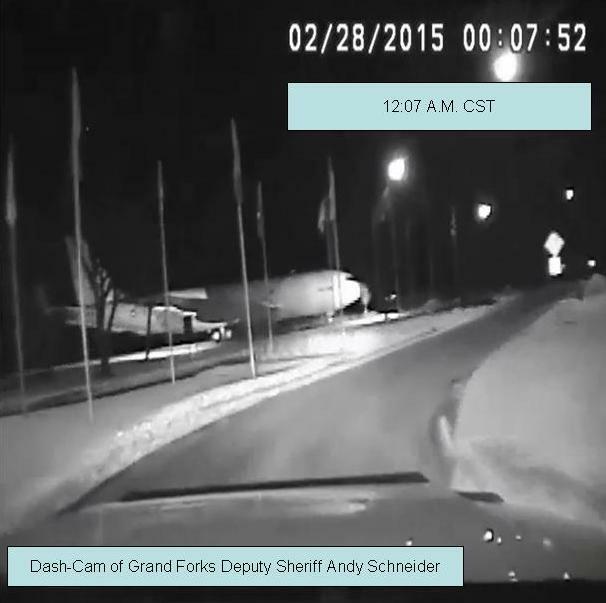 Schneider’s in-car camera is the best there…” referring to video from the Grand Forks County Sheriff’s Office. At the 14:47 marker on the audio SA Ness said, “You can see him on one of the body cameras…” referring to Grand Forks Police body cam video. I am requesting the aforementioned data. 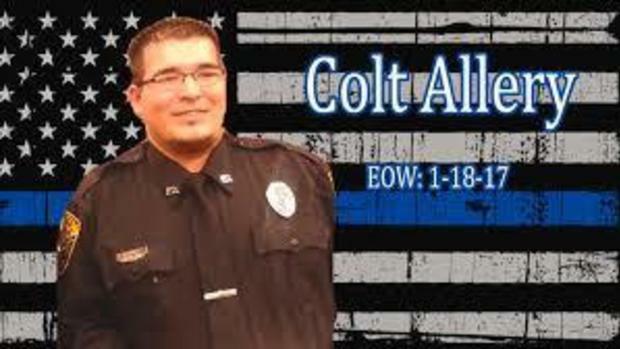 Law enforcement and government officials in drug and crime infested North Dakota face yet another police shooting scandal – this time in Pembina County. On June 5, 2016 Pembina County Deputy Brad Bowman shot Clifford Edward Monteith III on a rural highway near Neche, North Dakota. Media reports at the time described a scene that involved Monteith, the passenger of a vehicle, abruptly exiting the vehicle and physically attacking the deputy and chasing him with a knife before stealing his keys so the deputy could not pursue him. BCI interviews show those characterizations of the event were largely false. No media reports ever mentioned Monteith and his girlfriend had traveled from Grand Forks to Neche to look for “the Neche house” and the Grand Forks County Narcotics Task Force immediately became involved after the shooting. Court records showed the case against Monteith was closed on October 17, 2016 after a plea deal was reached. The settlement was widely reported. PEMBINA, N.D. (AP) – A Grand Forks man accused of attacking a deputy sheriff in Pembina County before being shot has pleaded guilty under a deal with prosecutors. Authorities say 27-year-old Clifford Monteith III pinned Deputy Brad Bowman to the ground during a June 6 traffic stop in Neche, beat and choked him, and tried to grab the officer’s gun. Monteith then allegedly chased Bowman with a knife when Bowman broke free, and the officer shot him. 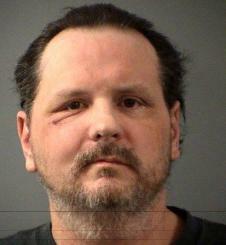 Monteith initially faced nine charges including attempted murder. 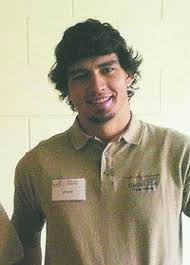 Prosecutors dropped that charge, and Monteith on Monday pleaded guilty to five charges including assault. The plea deal calls for him to serve 15 years in prison. However – court records show that on October 18, 2016 an Arrest Warrant was served upon Monteith (who was already in custody) for felony Aggravated Assault and Terrorizing. The prosecution for the State of North Dakota is Haley Wamstad, Grand Forks County State’s Attorney‘s Office. 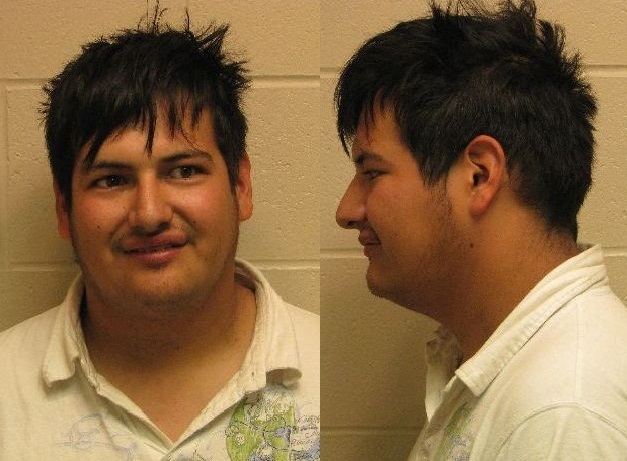 Is there a reason law enforcement in Grand Forks wants to keep Monteith jacked up on more felony charges? 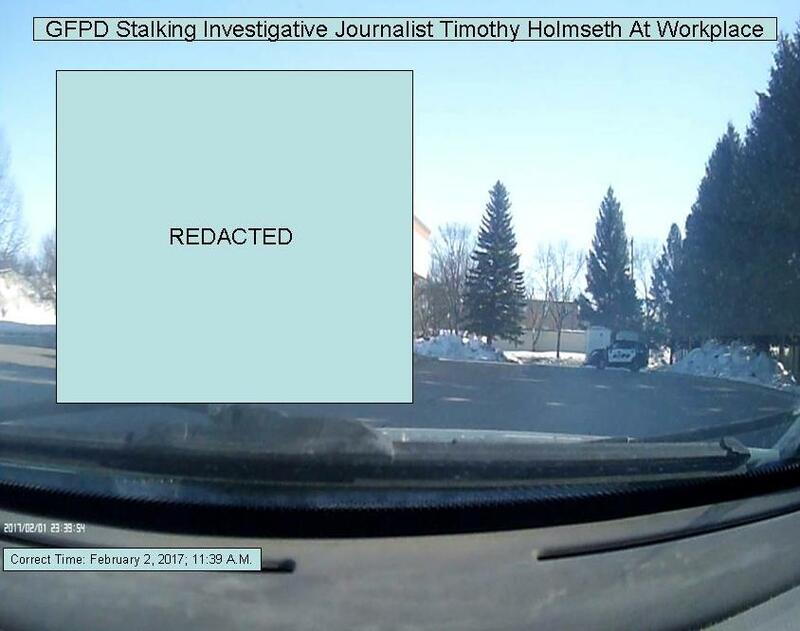 Let’s take a look at what was going on behind the facade put up by law enforcement’s media arm, Forum Communications. .
On October 16, 2016 Write Into Action submitted a records request to the North Dakota Attorney General for the BCI investigative records of the Bowman/Monteith shooting. 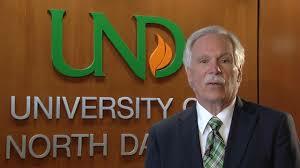 The North Dakota Attorney General’s office replied on October 17. 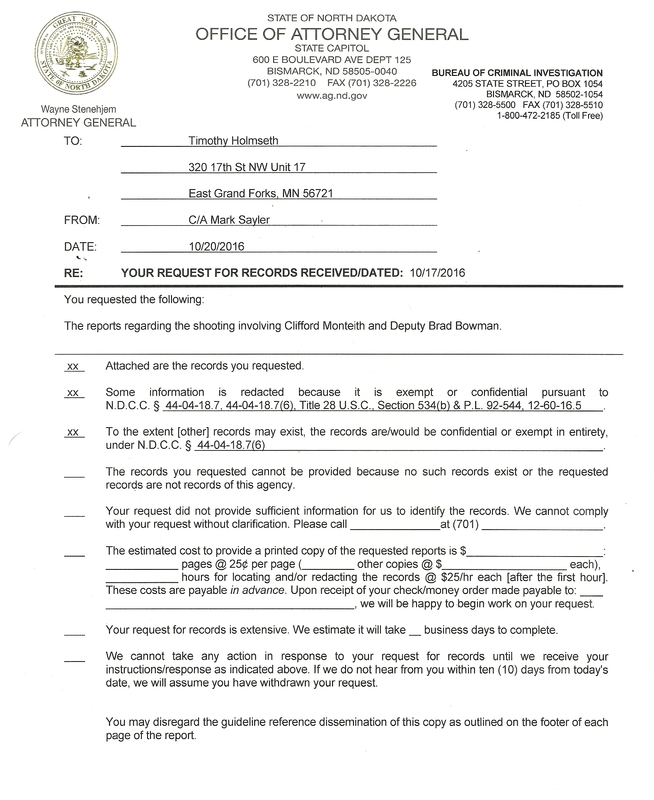 “I am responding to your request for records involving Clifford Edward Monteith III and Deputy Brad Bowman. No records will be provided because the requested records are exempt pursuant to N.D.C.C. Section 44-04-18.7,” said Liz Brocker, public information officer, ND AG. 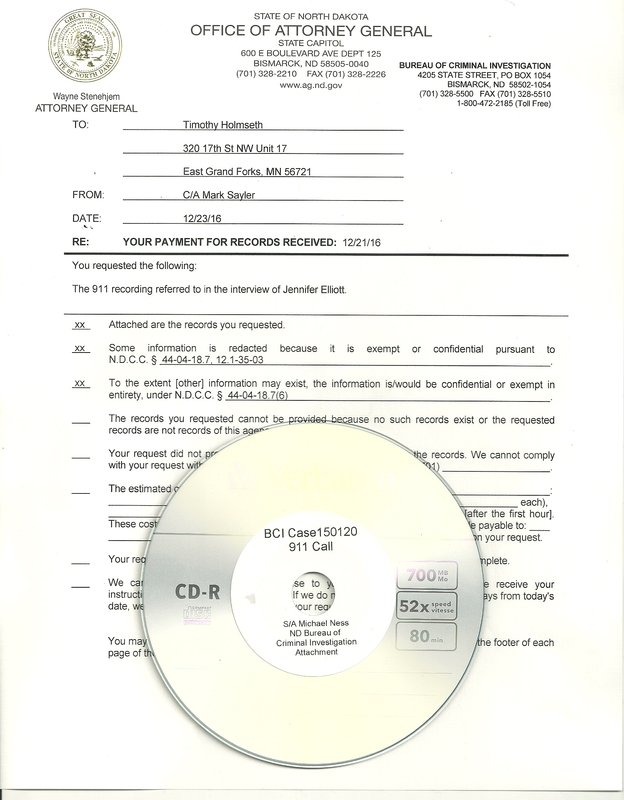 On October 19 Write Into Action re-submitted the records request for the BCI files on the Bowman/Monteith shooting. I am re-issuing my request for records regarding Clifford Edward Monteith III. The reason I am re-issuing it is because Clifford Monteith has been sentenced (see Grand Forks Herald link below). On October 20 Write Into Action contacted Brocker about the records again. I am holding a story that includes information about the shooting of Clifford Monteith. Per below, I re-issued my public records request regarding the Monteith case yesterday. I re-issued it based upon the fact the case is closed. I plan to hold the story through this morning to give your office fair opportunity to respond. Brocker responded on October 20. “We will be happy to provide a cost and time estimate, shortly,” she said. Write Into Action has since received the files. So why did the Grand Forks County States Attorney’s Office take an interest in charging Monteith with more felonies after he had reached a plea deal that sent him to prison for 15 years? The bizarre circumstances surrounding the Bowman/Monteith shooting may actually rival the shooting of David James Elliott, an unarmed man shot in a hospital parking lot by a University of North Dakota police officer in neighboring Grand Forks County in 2015. Both the Bowman/Monteith and Braaten/Elliott shootings appear to be violent interactions between police and drug traffickers that are part of the same criminal enterprise; after something has gone wrong. According to Deputy Bradley Bowman, on Sunday, June 5, 2016, shortly after midnight, he observed an SUV on Highway 18 driving slowly. Bowman said he pulled up to the SUV, which had stopped alongside the road. The SUV was driven by Rebecca Rausch, Grand Forks. Clifford Edward Monteith III, Rauch’s boyfriend, was a passenger in the vehicle. Bowman radioed dispatch at 12:18 A.M. but received no response. Bowman approached the vehicle and asked Rausch if she was lost. He asked her to exit the vehicle. He talked to her. He asked Rausch how she got a black eye. Rauch told him somebody other than Monteith did it. She said she and Monteith were looking for the “Neche House”. Bowman told Rausch to get back in the vehicle. Bowman then asked Monteith to exit the vehicle, which he did. Monteith did not want to tell Bowman his name. Monteith attacked Bowman. Monteith pulled a knife. Bowman deployed a tazer. The tazer failed. The two men fought. The two men ended up in Bowman’s squad car (Monteith on the driver’s side). Bowman shot Monteith three times in self defense. Bowman radioed “shots fired” at 12:23 A.M.
Monteith exited Bowman’s squad car; got into the SUV driven by Rausch; and they fled. Bowman radioed dispatch that the maroon SUV was southbound on Highway 18 at 12:24 A.M. But – not so fast. An eyewitness account by Sara Letexier, a passing motorist that spoke directly with Bowman during the event, blows gaping holes in the official story because of what she saw and heard when she pulled up to the scene. Letexier spoke with the media (WDAZ-TV) and was interviewed by the BCI (the BCI interview with Letexier is astonishingly short for an eyewitness to an attempted murder of a police officer). The first discrepancy is the timeline. Sara Letexier stated she came upon the scene at approximately 12:35 a.m. Sara Letexier stated she saw a person on the roadway and a deputy. The deputy told Sara Letexier she should find a different way home because he was attacked. So – according to Letexier, there is a person lying on the road and the attack is over. As you will see; this does not fit the official version at all. Bowman radioed “shots fired” at 12:23 A.M. (12 minutes earlier than Letexier recalls arriving). He radioed that the SUV was southbound on Highway 18 at 12:24 A.M.
That means that Bowman shot Monteith; and within a minute or so Monteith fled the scene in a vehicle. No time to lay around the road while Letexier is talking to Bowman. Letexier saw a “sedan” at the scene. Sara Letexier stated she saw a sedan in front of the deputy’s patrol vehicle, but could not describe it. Sara Letexier stated she later heard a gunshot. S/A Kraft was told by Sheriff Terry Meidinger a report of fireworks was reported in the downtown area of Neche, North Dakota. “I heard the gunshots as well and that was kind of scary,” Letexier said. Letexier heard gunshots (It’s not clear by the records if Letexier heard the gun shots while she was at the scene, or after she exited. The BCI report indicates it was after she left the scene). “I just kind of rolled up in the middle of it. I could see the man in the road, he was crumpled,” Letexier told WDAZ. 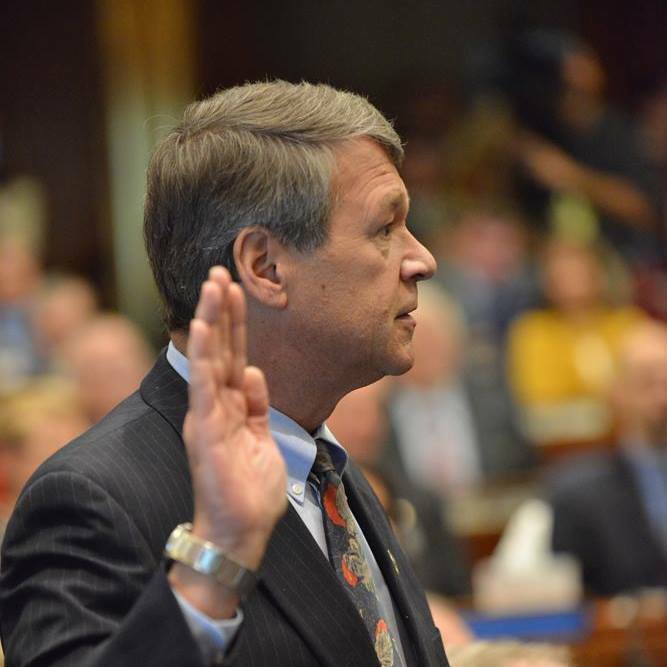 Letexier told WDAZ she talked to Bowman. “He seemed like he was out of breath, he said I’ve been attacked,” Letextier said. Letexier says there was a person lying on the road and the attack is over. That is entirely inconsistent with dispatch logs that show Bowman called in “shots fired” and then radioed the shooting victim had fled the scene within about a minute. 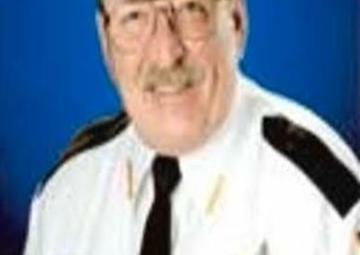 In their interviews with BCI, neither Bowman nor Rausch describe a time when Monteith is laying in the road while Bowman talks to a passing motorist. In fact – no BCI summary makes any mention of Bowman or Rausch ever mentioning that a motorist pulled up and talked to Bowman. Here are their accounts, and as you will see, neither Bowman nor Rausch’s account has Monteith lying in the road. CLIFFORD MONTEITH III told Deputy BRAD BOWMAN he could not feel his arm after the shots were fired. Deputy BRAD BOWMAN stated Rebecca Rausch was also yelling, “You shot him!” CLIFFORD MONTEITH III exited Deputy BRAD BOWMAN’s patrol vehicle and entered Rebecca Rausch’s vehicle and they drove away. Rebecca Rausch stated that CLIFFORD MONTEITH III exited PCSO squad car #4504 and entered her vehicle, sitting in the front passenger seat. CLIFFORD MONTEITH III said, “Let’s go,” and at first (1st) told her to go to the hospital, but then instructed her to take him to their residence located at 2129 17th Street Northeast in Grand Forks, North Dakota. Write Into Action has reason to believe the Bowman/Monteith shooting and Braaten/ Elliott shooting are related to a drug trafficking operation that involves members of law enforcement and military personnel. The criminal enterprise involves members of the Grand Forks County Narcotics Task Force, Minnesota Pine to Prairie Task Force, Grand Forks Sheriff’s Office, Grand Forks Police Department, University of North Dakota Police Department, Polk County Sheriff’s Office (Minnesota), and East Grand Forks Police Department.